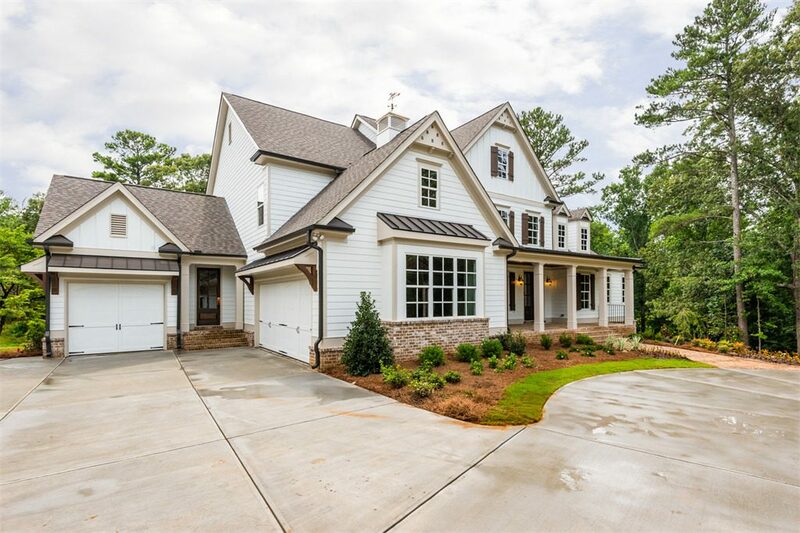 I’m incredibly excited to introduce a fantastic new custom-built home in Roswell by Stonecrest Homes. 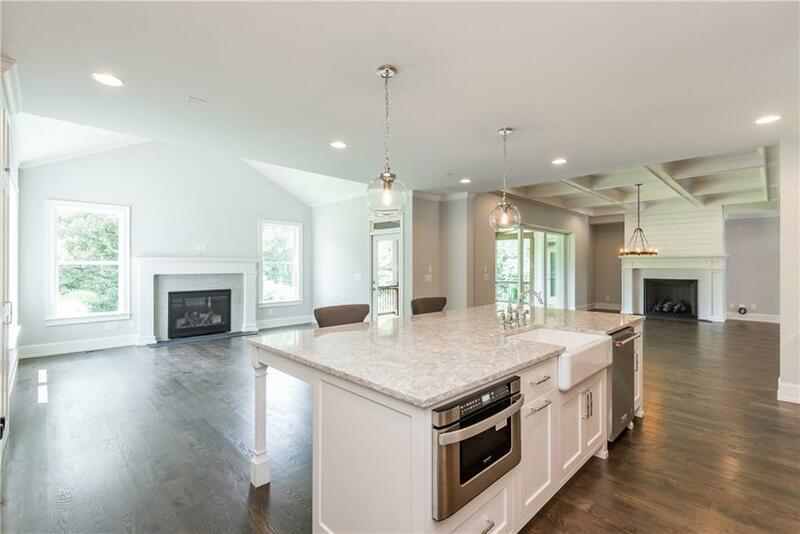 This stunning master-on-main sits on a tranquil 1-acre lot that creates the outdoor living area of your dreams. Sip coffee or a glass of wine while overlooking the sprawling yard from your private covered veranda. A large three panel disappearing door opens the entire back of the home. The interior is designed for the way we live today with huge mudroom, generous pantry and light filled open concept home plan. The home features an offset 3rd garage that is almost 30 feet deep and can easily accommodate a large boat or a third car and extra storage. 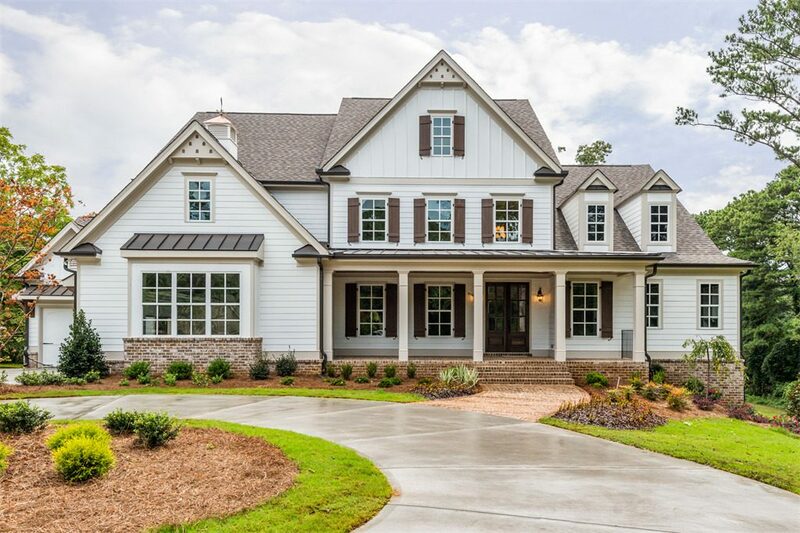 Stonecrest, also did a nice job creating the circular front driveway giving home a distinctive feel and providing accessibility when entertaining. 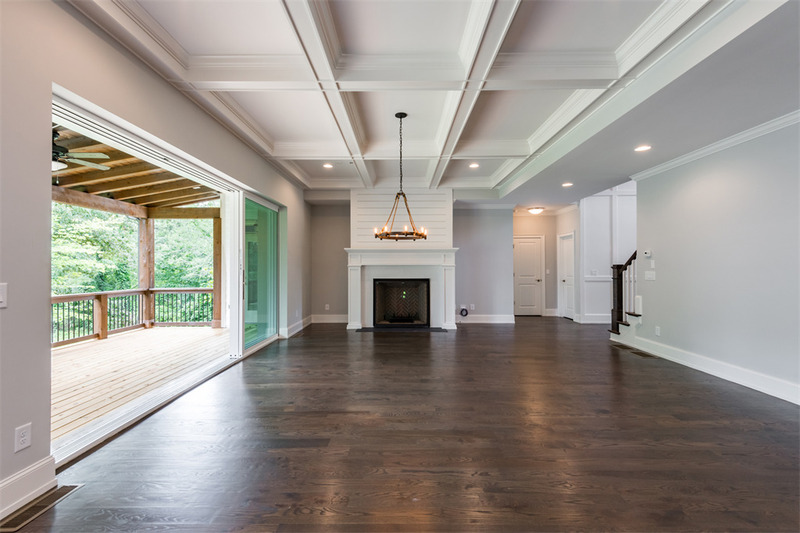 The large, open floorplan flows from room to room and the 20-foot glass doors leading to the deck collapse seamlessly into the wall opening the entire back of the home. 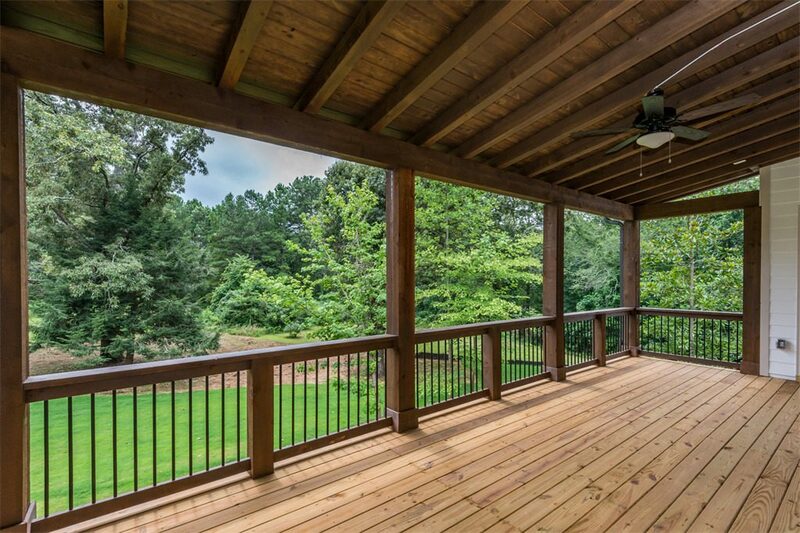 An expansive covered deck extends the living space and gracefully pulls the outdoors into the home. 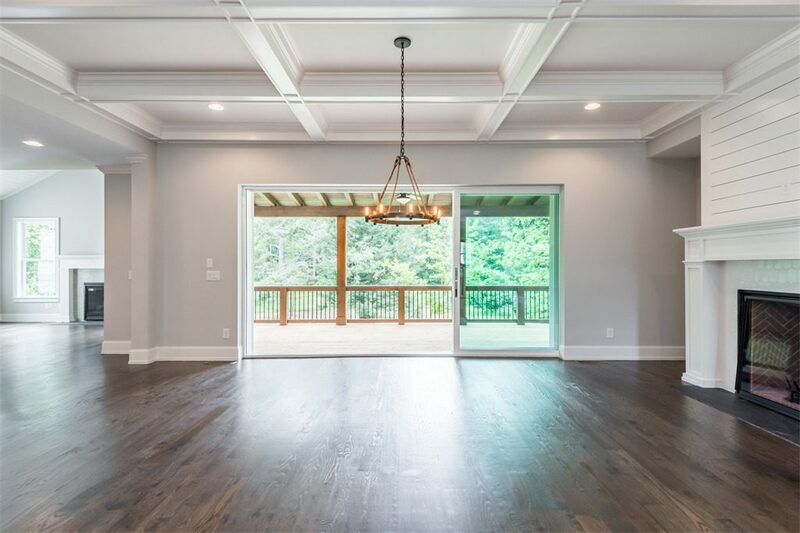 Stonecrest’s attention to detail can even be seen under the roof of the deck where stained beams and tongue-and-groove paneling were used to finish the ceiling. The Kitchen is outfitted with gorgeous Cambria Quartz countertops, custom-made inset cabinetry, and chef-grade KitchenAid appliances. The chef grade cooktop features a built-in grill and griddle, as well as 6 burners. 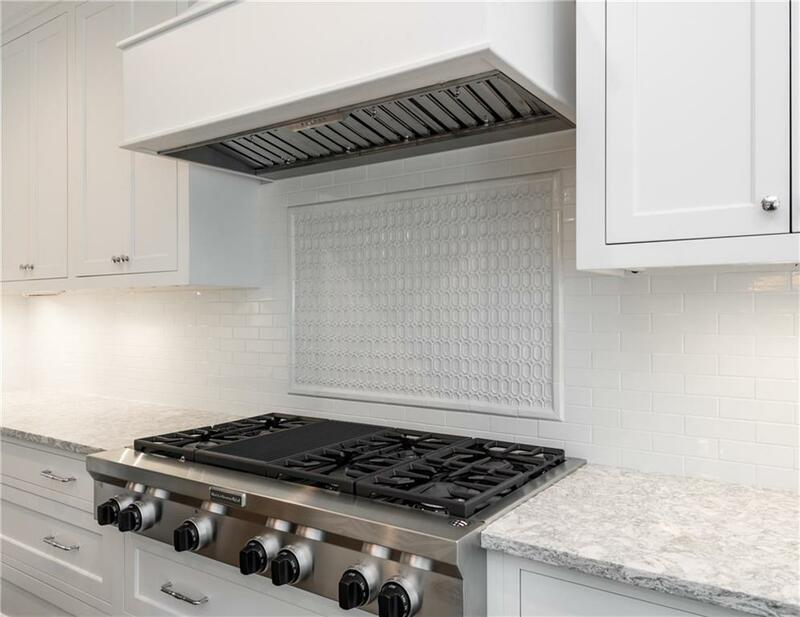 An elegant and discreet tile inlay ties in the custom, industrial grade exhaust hood. 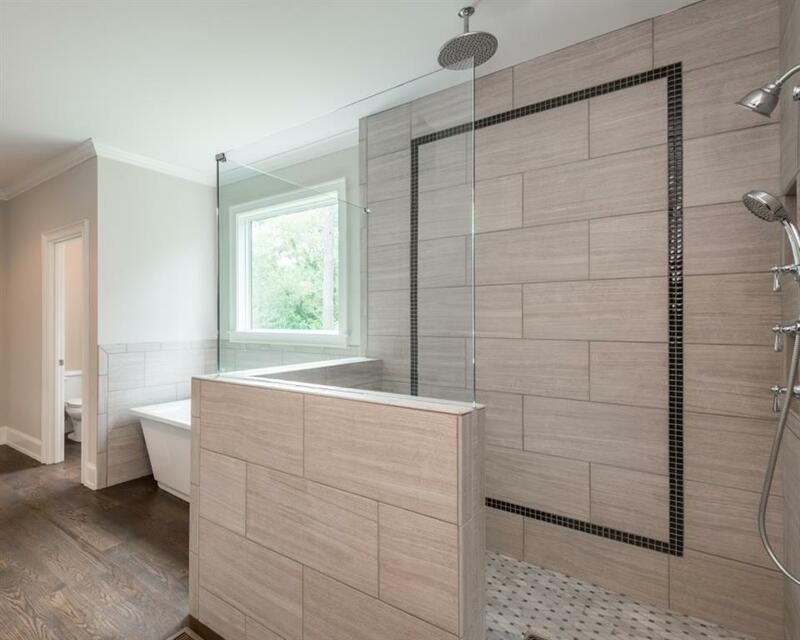 The spa-like master bath features a stand alone soaking tub and a large multi-head shower with a built in tile bench. There are also his and hers closets with custom-built California style cabinets. …and yes, even the drawers and cabinets in the master bath are soft close. 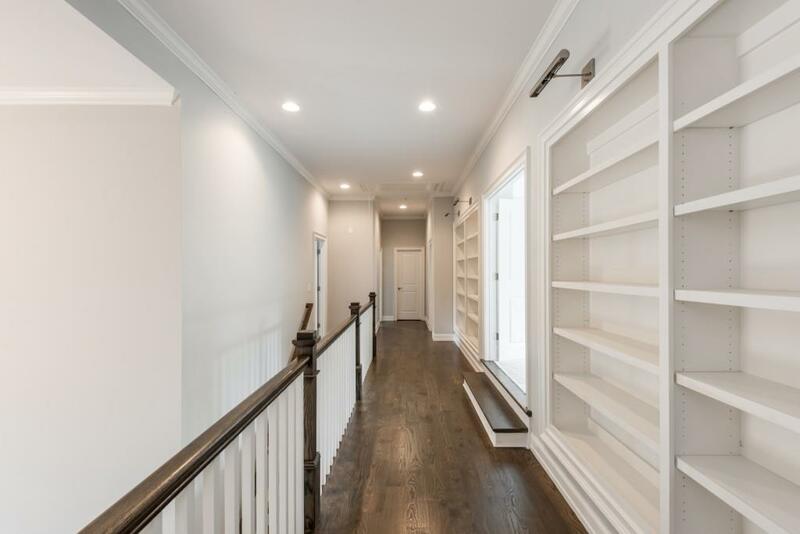 Architectural detailing can be found throughout the home as these custom bookcases with portrait lighting show. 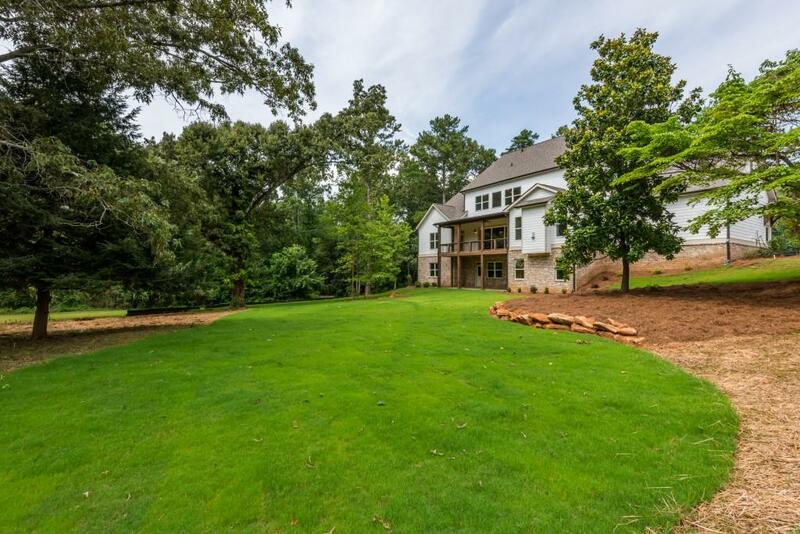 Perhaps the most incredible feature of this home is its almost completely flat backyard. 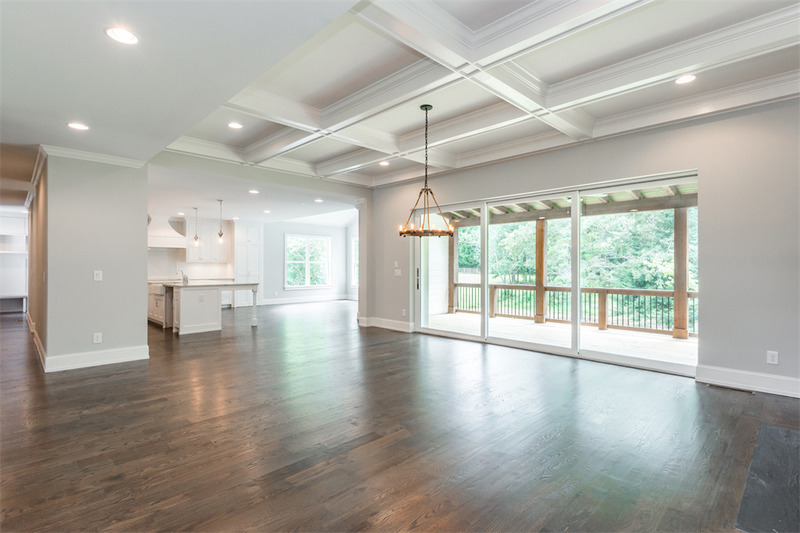 Stonecrest Homes took pains to preserve many of the old growth hardwood trees while still accommodating room for a pool and outdoor entertainment. Additional information about this incredible home can be found here.